By 1938 the Carters' fortunes were on the wane, the Depression had cut hard into their record sales. When the Consolidated Royal Chemical Corporation wrote to offer them the chance to do a twice daily radio show, for the princely sum of $75 each per week, it must have seemed like manna from heaven -- with one exception. They would have to move to Texas. The radio station in question was the 500 kilowatt monster XERA, just over the Rio Grande in Mexico. XERA had been founded by "Doctor" John Romulus Brinkley, a quack physician and entrepreneur from Milford, Kansas. Around 1918, Brinkley had invented a "cure" for male impotence which involved grafting pieces of goats' testicular glands onto the patient's own testicles. He first saw a radio station five years later on a trip to Los Angeles, and decided that radio was the perfect medium for promoting his medical services. When Brinkley got back to Kansas, he founded a local radio station with the call letters KFKB, for "Kansas First Kansas Best," and used it to spread the word about his "miracle" operation. 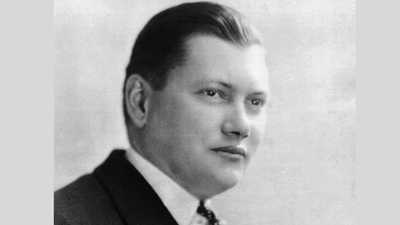 By 1930 both the federal government and the Kansas medical board had begun investigations into Brinkley's activities, eventually stripping him of both his radio and his medical licenses. Brinkley ran for governor of Kansas, and might have won if a large number of write-in ballots had not been disqualified for misspellings of his name. 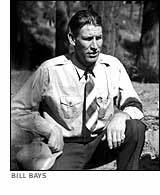 So Brinkley set out for greener pastures, moving to the tiny border town of Del Rio, Texas, and setting up a new radio station across the river in Mexico. 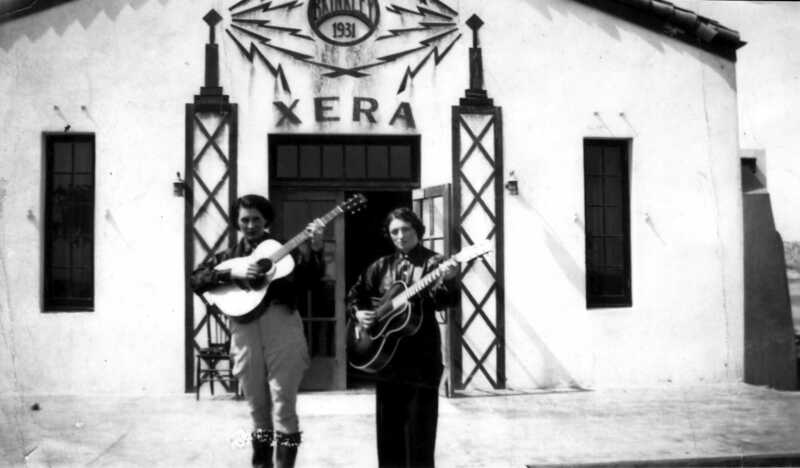 With 500 kilowatts of broadcasting power, XERA was ten times as powerful as the biggest American stations, which were forced to live within the federal ceiling of 50 kilowatts. Its signal easily reached all forty-eight states, not to mention much of Canada, and within a few years spawned a slew of copycat border stations. Despite the Carters' attachment to their Clinch Mountain home, they knew a good deal when they saw one, and in the fall of 1938 they headed for Texas. "I think the real turning point in the Carter Family comes with the move to border radio," says writer Mary Bufwack. "It was a wonderful opportunity for them because it was money coming in constantly, but it also really exposed them to a tremendous audience." And I wonder if he ever thinks of me. It had been six years since Coy and his family had left for California, and though Sara had written him her letters had been intercepted by Coy's mother, they had never reached him. But Coy was an avid fan of the Carters' show, and when he heard Sara singing out to him over the radio waves, he knew she had not forgotten him. 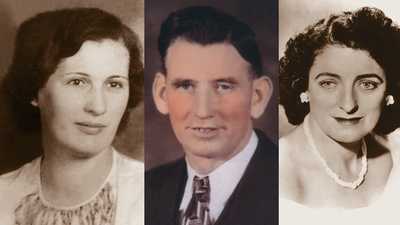 Coy left immediately for Texas, and the two were married on February 20 in the town of Brackettsville, near Del Rio. 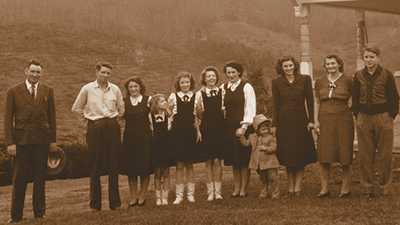 Consolidated Royal asked the Carters back to Texas for a second season in 1939-1940, this time with Maybelle and Eck's three daughters, Helen, Anita, and June. With the girls on the show and A.P. delivering some of his most heartfelt performances, the 1939-1940 season stands out among even the Carters' enviable legacy. But by then "Doctor" Brinkley was once more under investigation, this time for tax evasion. At the same time, the victims of his cure for impotence -- and the next of kin of those who had not survived the operation -- were crawling out of the woodwork, suing him for medical malpractice. In 1941 Mexico signed a radio treaty with the United States dividing up the spectrum between the two countries. A year later XERA shut its doors for good. Brinkley died the same year. After XERA was shuttered the Carters accepted an offer to play at a local radio station in Charlotte, North Carolina. Sara was living with Coy in California by then, but even though it meant precious months away from her beloved, she spent two broadcasting seasons in North Carolina singing on the show. But when the contract ended in March 1943, she went back to California for good, and the "Original Carter Family" ceased to exist. Even after the Original Carter Family gave their last performance, Maybelle and her daughters continued to play, first on radio stations in Richmond, Virginia, and later in Knoxville, Tennessee where they met Chet Atkins. They were eventually invited by the Martha White Flour Company to be regular performers on a radio show they sponsored at the Grand Ole Opry, then the place to be for country musicians. While their show may not have been as creative as those of the old Carter family, their music was sure to please the crowd. Eventually the three daughters went their separate ways. In 1949, June traveled to New York to make some solo recordings for RCA, later meeting — and marrying — Johnny Cash. In the 50s the Carter women performed with musical greats Hank Snow, Hank Williams, and Elvis Presley. 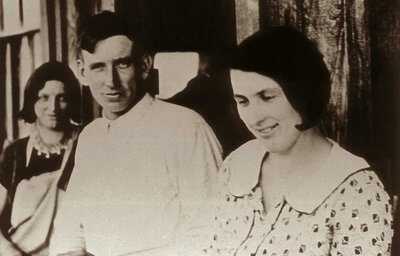 While Maybelle and her daughters were keeping up the Carter family's musical tradition, A.P. was back in Poor Valley, leading the peaceful life of a storekeeper who never sold very much, but collected music royalties twice a year. A.P. reunited with Maybelle once in Knoxville in 1948, and once with Sara in Bristol in 1952, but the three originals never played together again. By February 1960, A.P. was old, sick, and bedridden, and he died that November. Maybelle and Sara both outlived him, dying in 1978 and 1979 respectively. By the time A.P. died, the royalties were starting to flow again, thanks to such covers as the Kingston Trio's take on Worried Man Blues, Elvis Presley's recording of Are You Lonesome Tonight, and a whole record of remakes by Flatt & Scruggs. In that decade the folk music revival took off in earnest, with Bob Dylan plying the concert trail and the first re-releases of the Carters' old monophonic 78's. Maybelle earned her title as the "queen mother of country music," and the copyrights for which Peer paid the Carters only a few hundred dollars are now among the most valuable musical properties in the world. The Original Carter Family was inducted into the Country Music Hall of Fame on October 14, 1970. In 2005 the Carter Family was honored at the Grammy Awards with a Lifetime Achievement Award.